Want it by Thursday 25th April? Order within 3 days, 16 hours, 34 minutes and choose Royal Mail Tracked 24 Hour at checkout. This new pin-cord pinafore dress is the perfect transitional piece for her autumn/ winter wardrobe. 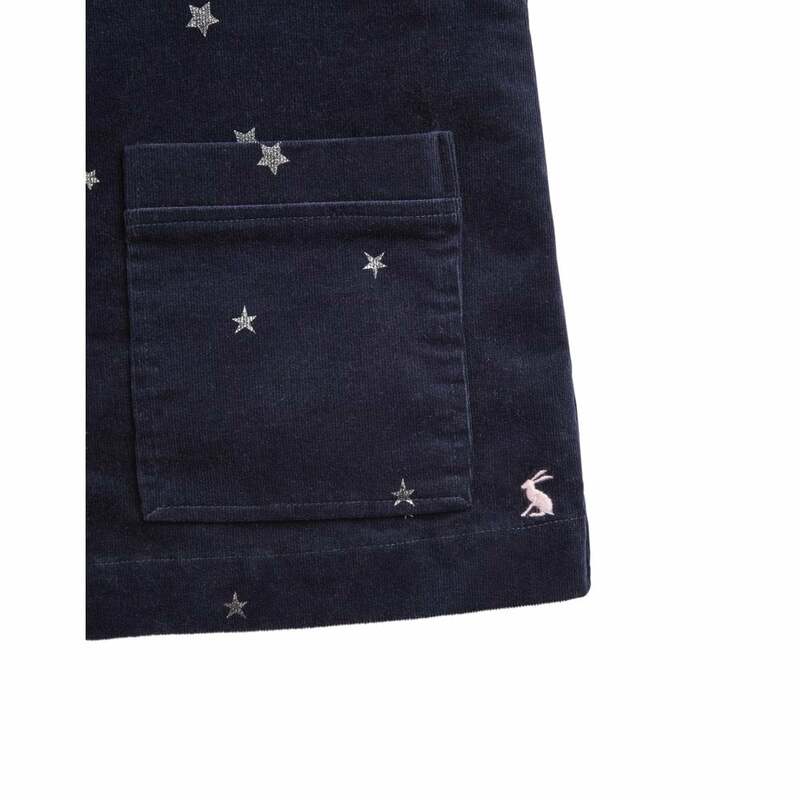 Featuring a fun navy falling star print, two front pockets and adjustable straps. Layer this dress with anything from a t-shirt to a roll neck jumper. She will love this stylish sweet dress just as much as we do!